I went to the beach and so did a storm. It wasn’t supposed to rain but the forecast changed quickly and I raced to Ft Morgan to get some beachcombing in before the rain took over. I love these stormy sky colors over the dunes. Check out my lastest garden story from my other blog, A Gulf Coast Gardener’s Journal, about the only Seed Lending Library on the entire Gulf Coast. It’s right here in Baldwin County, AL. While you’re on my gardening site, sign up as a subscriber. Thanks. 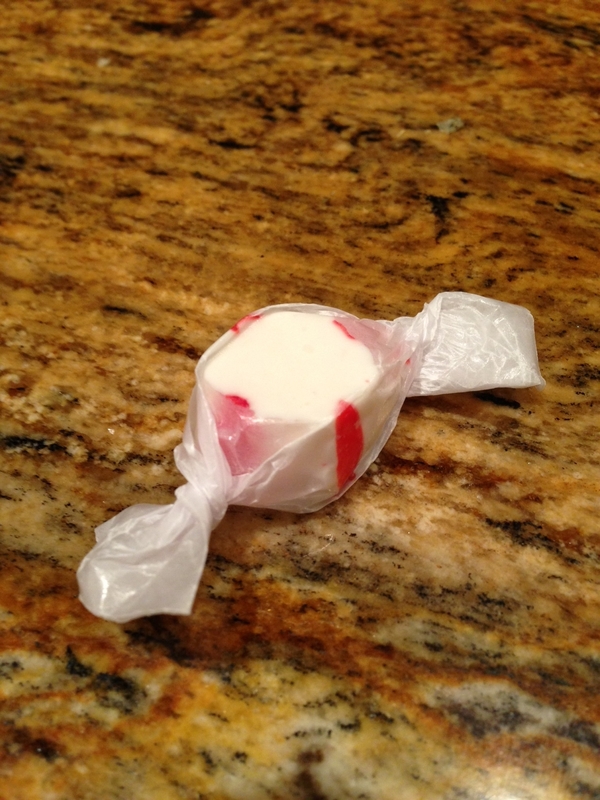 When was the last time you had Salt-water Taffy? Salt-water Taffy is a beach store staple. Bet you can’t go into any souvenir store along any beach and not find a stack of boxes of this special seaside treat. It is said to have originated in Atlantic City, NJ after a candy store was flooded by a hurricane and the owner offered his water-logged taffy as “Salt-water Taffy”. It soon caught on as a popular confection and manufactured by many candy stores along all of the US coasts and beyond. 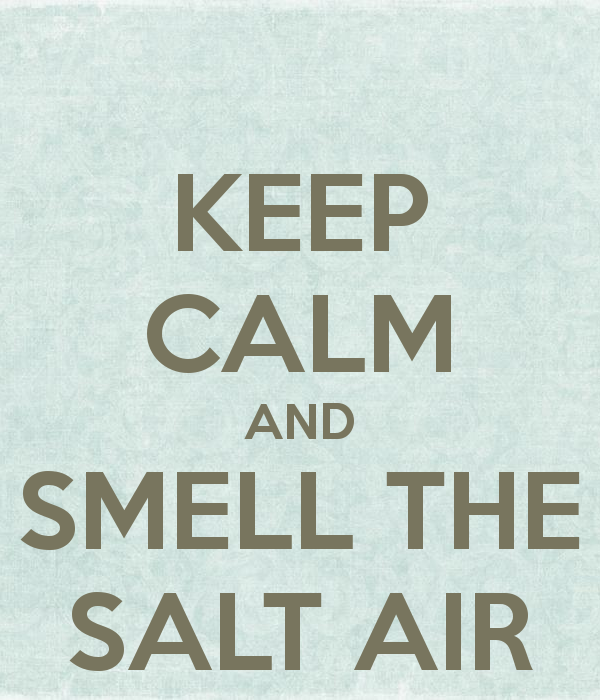 It’s simple ingredients include sugar, corn starch, corn syrup, butter, water, glycerin, flavorings and, of course, salt. Variations depend on the maker but these are the main, and simple, ingredients. Sounds no different than most other confections. So why do people I know not want to eat it? Maybe they actually do but don’t want to admit it. I won’t bother interviewing anyone, so we’ll just have to face the fact that there is a love-hate relationship with Salt-water Taffy. My fond childhood memories include spending a lot of time in Ocean City Maryland. I grew up in a Baltimore suburb but my dad’s older brother lived in Ocean City and we would spend all of our free time hanging with my uncle and his family. Every trip ended with a purchase of Salt-water Taffy for the ride home. My favorites were the white ones with the red stripes down the sides (peppermint), the white taffy with the green stripes down the sides (spearmint) and the total green taffy bites. Oh, they were so good. I would have to fight my brothers for them, and most of the time I won. This past weekend, my husband, children and I took a road trip to Seaside FL. One the way home along Hwy 98 we stopped at a souvenir shell store and when I was paying for my purchase I noticed a jar of Salt-water Taffy on the counter. The sign read “8 cents each”, so I picked out a white one with red stripes just for the sake of it. Eight cents is a non-committal salt-water taffy purchase. I’m not stuck with a box of unwanted flavors. I’m not stuck with a large box that my family will see and cause me embarrassment. I’m not at risk for jokes about being a salt-water taffy eater. So I just got one piece for 8 cents. I even stopped just outside the door, opened the wrapper and plopped the taffy in my mouth so no one would see me eat it. Oh how incredible! The taste brought tears to my eyes as I was transported back in time…Ocean City, beach days, my cousins, Maryland Crab Cakes, SPF 20 mixed with iodine, the Boardwalk, AM radio playing from the Vista Cruiser dashboard as we drove over the Chesapeake Bay Bridge. I walked back into the store and bought 2 more pieces. Joking, I said to the woman behind the register, “You probably think I’m nuts coming back for another piece of taffy, huh?” She shook her head and, laughing, said, “You’d be surprised how many people come back for another. Reminds you of your childhood, doesn’t it?” I agreed and we both laughed. So, when was the last time you had Salt-water Taffy? Oddly enough there is a sign along I-10 in Mobile telling us to slow down for Manatees. You can find it heading west out of Mobile. Actually, there is a tributary of Dog River that flows northwest and under the interstate. Just before you get to the exit for Highway 193, look to the right among the bushes and trees that line the interstate for a white sign. Current road construction equipment (5/2013) may hinder your view of the sign but it’s there. A female Manatee, named Bama, was spotted, captured and tagged in Alabama waters back in 2009. She is often spotted in the waters of Dog River and is being monitored, along with other Manatees, by Dauphin Island Sea Lab’s Manatee Sighting Network. She travels to other spots of the Mobile Bay’s rivers and tributaries including the area around the Battleship. You can read more about her here. This year seems to be the best so far (since I’ve been here) for the Spring migratory bird migration spotting. I have seen a few species this year that I haven’t in the 4 years I’ve lived here. Friends and organizations I have followed on facebook during this same time are announcing birds they’ve spotted and I don’t recall the numbers being this large before. The weather is cooler than the past few years for this time of month and the storm fronts arrive along the coast the same time the birds are coming up from South America and rainy weather here and north of us has held in place for a while. This keeps the visitors from traveling on. So they’re coming and staying a little while, eating at our feeders and drinking at our watering holes. You can read a little more about this and see the birds on radar here on the Journey North webpage. More information on the 2013 migration is found here at BirdCast. Don’t miss the radar of birds heading northward into South Florida. Stunning! My personal list includes Summer Tanager, Grey Catbird, Red-winged Blackbirds, Swallow-tailed Kite, and a flock of Pine Warblers along with several others I haven’t seen here before. I have recently read of Scarlet Tanager and Indigo Bunting spottings in the area but haven’t seen any. If you get a chance, just sit in your backyard to enjoy the visitors or head over to Dauphin Island where all of the chatter, I’m getting, is coming from. Enjoy but do it quickly; they won’t stay long. The Mourning Doves flew away. I see them during the day at the bird bath, which is low to the ground. I sneaked up the tree for a look at their former home. While it looks deep from below, it’s rather shallow. 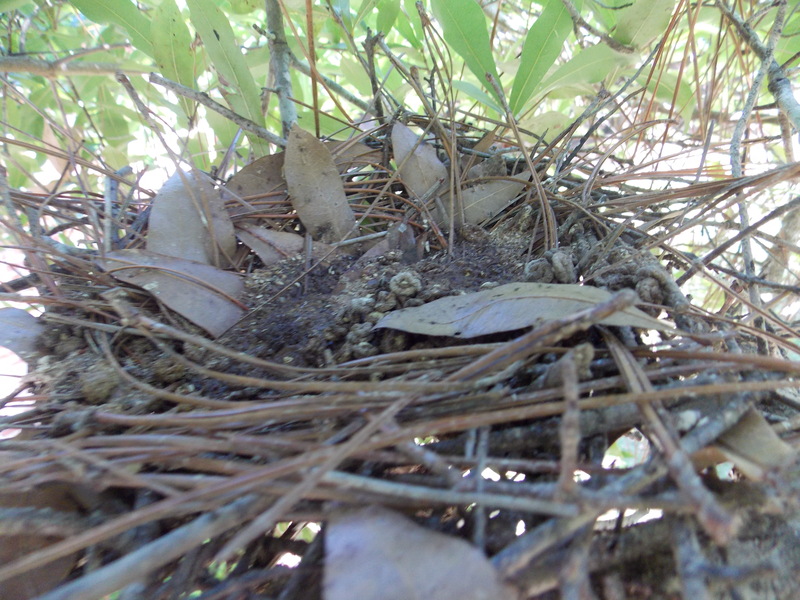 I like how the live-oak leaves are arranged around the nest. Mom sure knows how to decorate. Looks like her housekeeping skills aren’t as great; it’s a little dirty inside. Wonder how long before the nest is used again. I love a beachy-feeling home, even when I’m not too close to the beach. It gives me a sense of calm. We have a surfboard propped up in the corner of a room decorated with oversized, brightly painted wooden fish; shells, jars of sand and large photos adorn the fireplace mantle flanked by a framed “Endless Summer” poster on one side and a Nick Kuchar “Black Rock Maui” print on the other. In my home you’ll find, bamboo furniture, starfish, leis, glass floats, tiki heads and awood-carved parrot. It’s relaxing. There are tons of great stores for nautical and beach decor. I was recently in Florida and did some shopping. I have put together a list of a few nautical stores that I love. In Jupiter, Florida, Nautical But Nice is a “must stop to shop” location. The prices are reasonable; the items cute and sophisticated. This shop holds mostly indoor decorator items, clothing, accessories like rugs, Tervis cups, and pillows. I must admit, although I’d love to decorate my house will everything there, I don’t shop there for home items but I usually get one piece of jewelry from Nautical But Nice each year. My favorite piece is a pair of silver, starfish dangle earrings. All of the items at Nautical But Nice are on my wish list. I’ll need a larger car for my next shopping spree. There is a wholesaler located in West Palm Beach called Culpepper Nautical. This is my new favorite for rustic nautical. On a recent trip we found individual signs of all kinds pointing to beach locations around the world, boat paddles, glass floats, wooden crab traps, large assortments of nautical light fixtures for the home or boat, and a lot more. They sell “to the trade” so get with your decorator and go check out the place. You can go in and look around; maybe they’ll sell you something. I was able to snag a boat paddle and wooden “Tiki Bar” sign. In Apalachicola FL, the stores around and including Apalachicola Sponge Shop and Antiques are fun to visit. Yes, I’ve made many purchases there. They just have cool stuff so check them out next time you’re there. 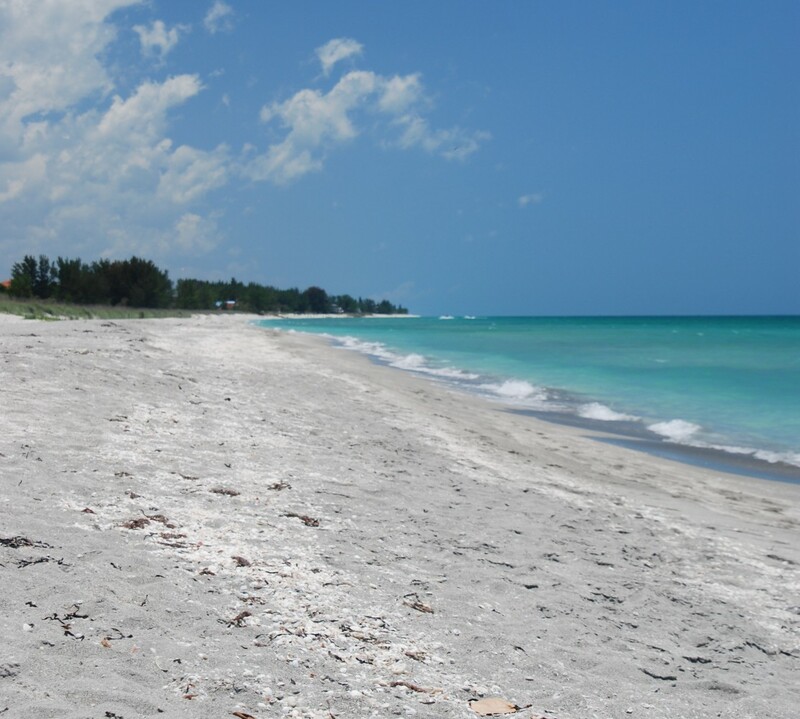 On top of my list, though, is Sea Hagg located in Cortez, FL, a quaint fishing village north of Sarasota. 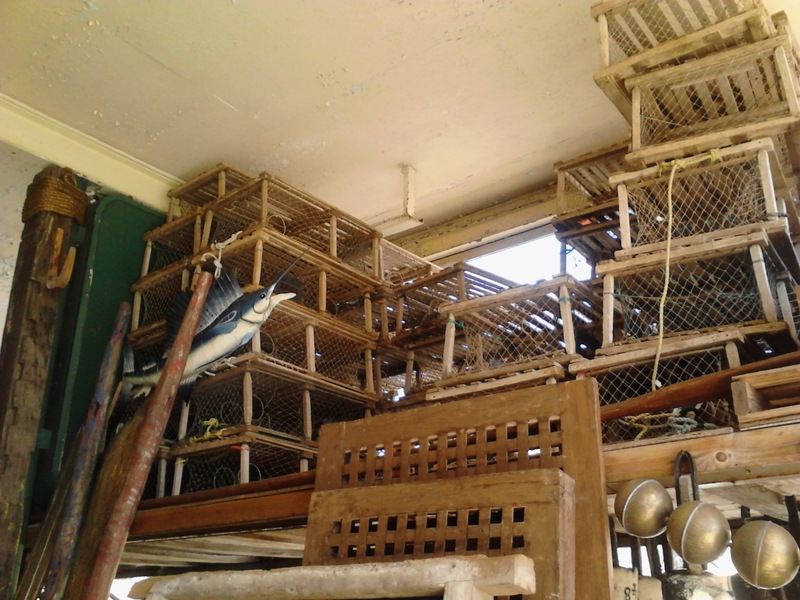 This shop sells high end decorator items and rustic indoor/outdoor decor. 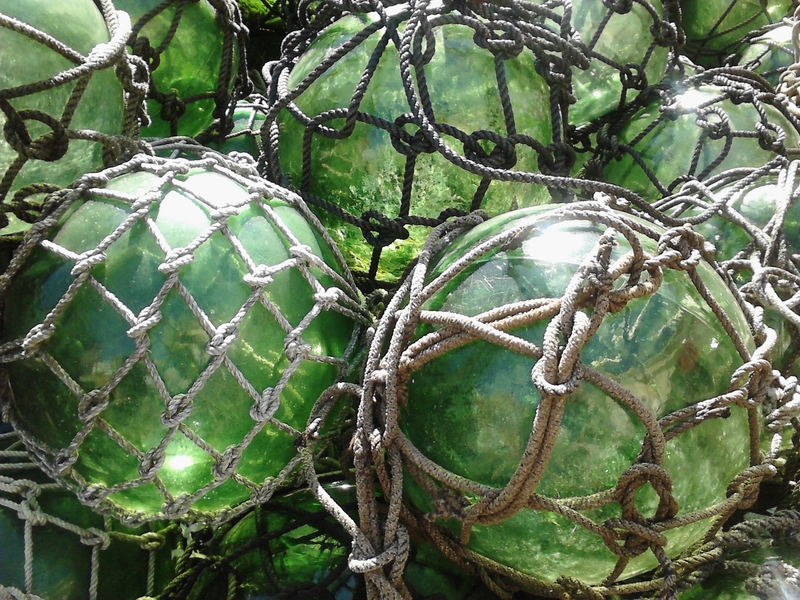 They have fishing equipment, furniture, baskets, art from local artists, authentic & one-of-a-kind nautical items. Check out the salvage area, too. I’ve purchased glass floats and some other small items from the Sea Hagg. Highly recommended but don’t go thinking you can dash in and out quickly. It’s packed with great stuff. There are tons of great nautical/beachy decor shops around the US. We all have our different tastes and ideas. Until my next shopping spree I’ve been collecting what I like and would like to have on my Pinterest “Coastal Inspirations” page. Stop by. Where do you like to shop? Please share your favorite shop in the comments.